Synopsis: Nineteen year old Achill has never left his training camp on Mars. With the revelation that his mother was exiled from the strict system after he was born he feels even more pressure to prove his loyalty and status as a fearless warrior who doesn't think before he kills. That is until he, who has never been taught of love or freedom, is sent on a secret mission for which he must travel through the other seven planets and fight for survival. As his journey unfolds he will discover unknown truths, potential love and face the strangeness of the lives and culture of those raised so differently to him. He may even uncover the timeless mystery of the man of a thousand faces. As tensions rise and the stakes are higher than ever Achill must decide who he is actually fighting for as he tries to understand both conflicts between the planets and also within himself. Review: This book had a lot of different elements that came together to make something out of this world (can't promise that will be last space pun!) So strap yourself in and get ready for takeoff (sorry that's two). This books starts off in a way that I love. Personification! Here we have personified the Signs of the Zodiac (hence all the Buzzfeed links!!) which I loved as I found it a fantastic way to being something I've always found fascinating alive. I'm not a superstitious person, but I do associate myself as a Capricorn (not that I really know what that means or how it changes my life) and I do like to read the horoscopes because I find the whole thing interesting (especially the history behind it). Here you had the twelve signs brought to life, each one reflecting something characteristically different of their nature. I like how they described the building of worlds, because there was a lot in this that set the characters apart from the marking of people, to the values that the worlds should have. It lays foundations for how I actually saw the worlds when you got to them. I loved that these characters had back stories and a history that was revealed in slow parts so there was a human nature to them, and I'd love to have a whole book about them! In the same way the future is well and truly here as the planets are hospitable and full inhabited! I really liked this, because they all stood for something different and this was reflected in the vibes that they were written in and the little quirky traits that each one was associated with, like the points system on Jupiter of Venus being a center for knowledge. We also see how a planet can breakdown, and there was a lot of nice political threads that flowed under the whole narrative. But let's move on! And to the planet Mars which as you may have guessed is the war world! Here we meet Achill, who like Mars the God is very set in his ways, determined, and has been told a lie that he'll struggle with as he sets off on his mission! He, for me at least, was one of those characters that had to be broken down, that you initially see has the big lump that you don't want to like, but then humanity is dragged out from the depths of his amour and he grows. He is in complete contrast, as coincidence would have, to Nadine, living on Jupiter and who is marked as a Sagittarius. She was a character you connected with instantly and wanted to take care of, much in a similar way to how I found Kai. They each stood out to bring things out of each other which gave the book a lot of its flow. I also liked the idea of people have specific skills/powers because of their signs.. well if they are 'marked' of course. 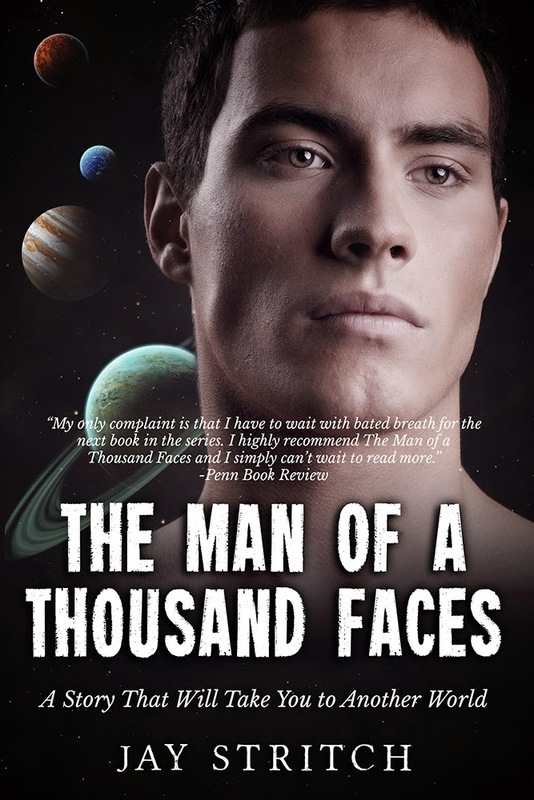 Mixed into this story, was the history of the man of a thousand faces set on Venus (which mentally for me was a beautiful planet!). I really liked this back story, we go to meet new characters, the vibes were completely different from me from the intensity of the present, you felt like you were in a palace, it was a little like futuristic medivalism. One of the things I love about a book is when you want to focus on one aspect of the story in the chapters that its not in, and this was a really interchangeable feeling within this book as I kept wanting know what was happening in the past and the future at the perspective times...and then BLAM they both reach the forefront, all paths come together and we're left on somewhat of a cliffhanger to whats to come! This was a great start to the trilogy by an author who I hadn't read before and for which I'm not very excited for whats to come in book 2! I was space/planets and was a little like 'this is out of my comfort zone' but this book wasn't what I expected, I really enjoyed it and think a lot of people will too!